IC 5134 is the nebula directly associated with the open cluster NGC 7129 (lower center right). They lie approximately 3,300 light years away in the constellation of Cepheus , the King. IC 5134 is an active star-forming region that contains several Herbig-Haro objects (narrow gas emissions associated with newly formed stars). The open star cluster located at the upper left of the frame is NGC 7142. 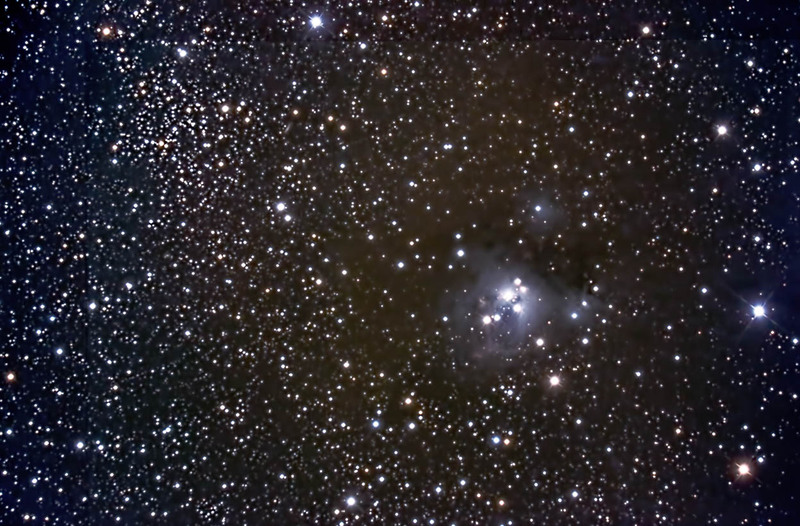 Although it is visually close to IC 5134/NGC 7129, it lies nearly twice as far (approximately 6,200 light years) away. Taken from my backyard observatory in southeastern Minnesota on 12/5/15.